Enthusiastic patriots down the row from Eileen and me. Summer Stars 7/5/18. All photos and videos by Paul Goldfinger. 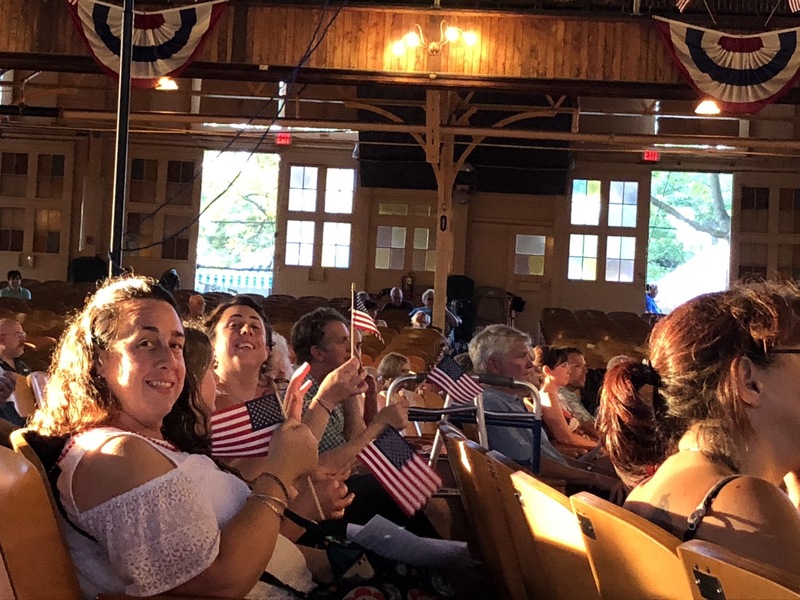 Another season of Summer Stars unfolded with the Imperial Brass, a world-class group of 30 musicians who traveled to Ocean Grove to present a marvelous concert to 425 enthusiastic folks in the Great Auditorium on a hot summer July evening. In addition, our own Gordon Turk participated on the Hope-Jones organ, and there was another special guest: Warren Vaché, jazz cornettist. Probably the most impressive part of the concert was when Gordon Turk conducted an ensemble of 10 brass players to do a brilliant piece called “Grand Choeur Dialogué” I was mesmerized. The three soloists were amazing with gorgeous tones and technique, so we have some video clips.—turn up your volume. And the Imperial Brass were absolutely the best. To hear such an accomplished group perform within the acoustics of the GA was a great privilege. I cannot express how wonderful this concert was. Our tickets cost $29.00 for two. Sitting near me was Congressman Frank Pallone. 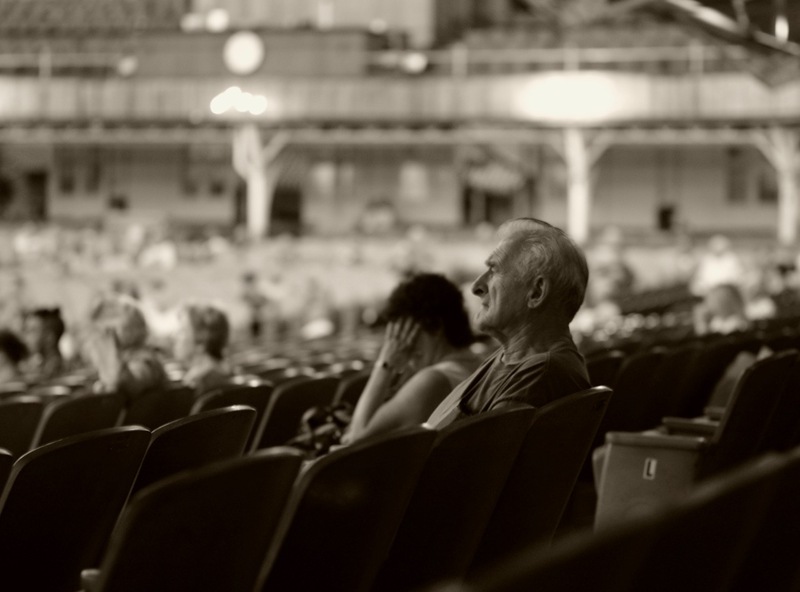 We talked music for about 30 seconds after the concert ended—he stayed for every note. I’ve seen him there before. 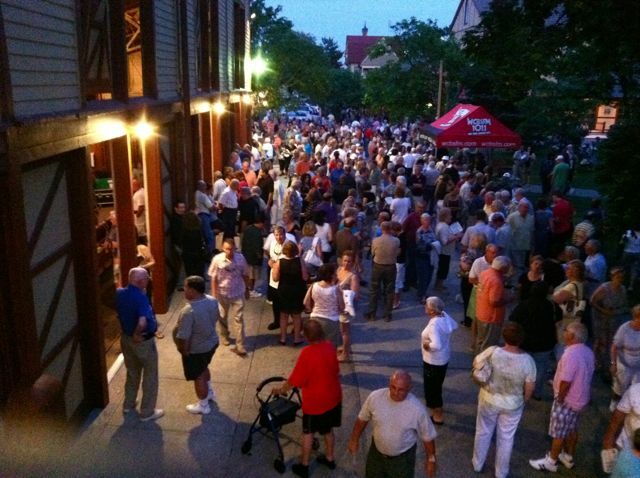 Don’t miss all the Thursday Summer Stars concerts coming up. The seats are not reserved. 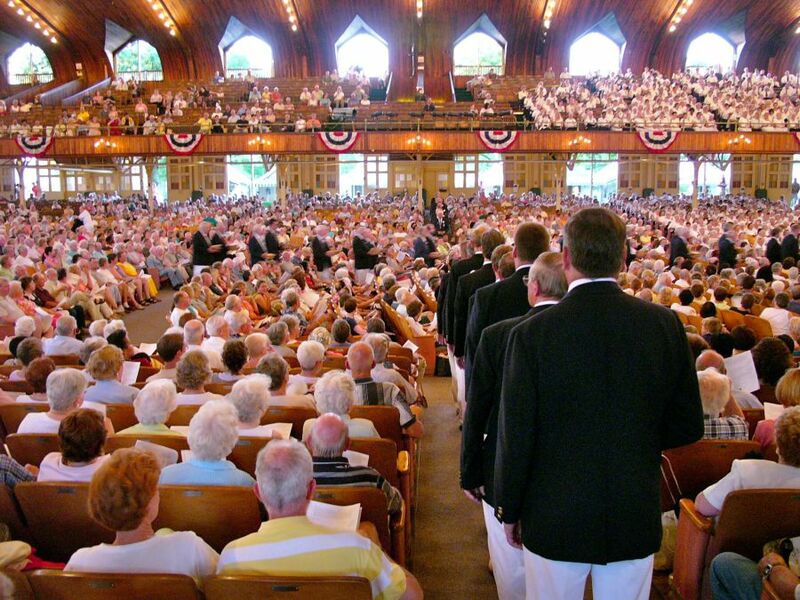 If you check the Saturday night programming this summer, you will find very little happening at the Great Auditorium. The Beach Boys will be supplying good vibrations on August 18, and the Doo Wops will arrive with a blast from the past on September 1. But otherwise, the Great Auditorium will have no Saturday night shows that would bring large crowds of tourists into the Grove. This will confirm the Blogfinger Counting Cars Theory of parking remediation where reducing the number of cars coming into the Grove on a Saturday night will improve parking. Take advantage of this generous offer by the CMA and invite friends and family to your houses or to enjoy the town without fear of parking glut. So why did the CMA offer that parking relief? We are told that they weren’t making money on those big shows (Abba, Tony Bennett, Paul Anka, Johnny Mathis, Neil Sedaka, Allentown Band and other popular acts.) We thought that they were going to fill those Saturday night schedules with religious programming, but it’s not in their Program Guide. I’m not counting the 2 Summer Band concerts which will not impact parking in the Grove. Paul Goldfinger photograph. © 2013 Click to enlarge. Re-posted from 2013. 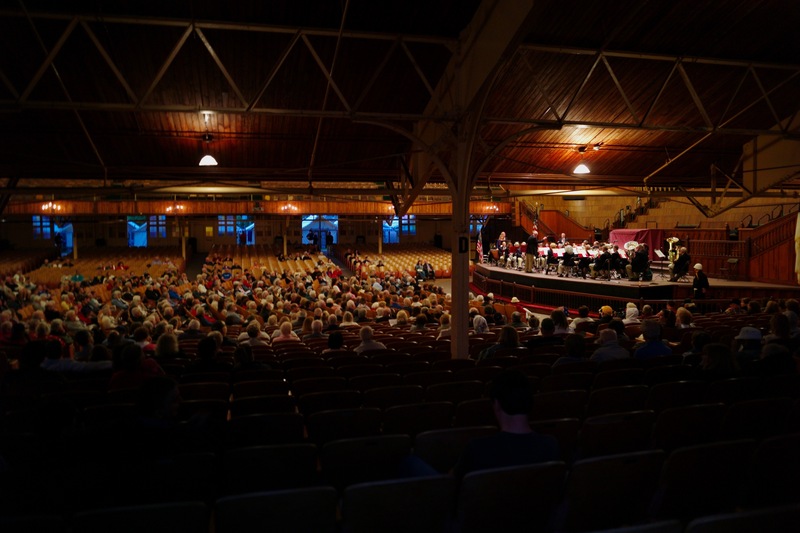 Mendelssohn in the Great Auditorium: Celebrating the amazing music that occurs in Ocean Grove every season. The Great Auditorium of Ocean Grove. Getting ready to perform Mendelssohn’s “Elijah,” conducted by Jason Tramm. August 28, 2016. The musicians are from the Adelphi Chamber Orchestra. Paul Goldfinger photo. © Click to enlarge. Here is a link to the Blogfinger article about this 2016 concert. Kudos to the Ocean Grove Camp Meeting Association for making such remarkable events possible in our town. 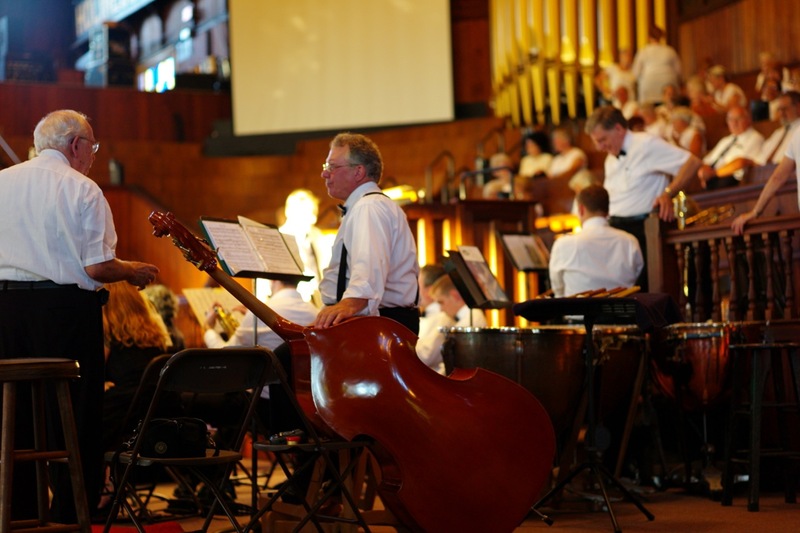 The link below has a photo gallery of Marvelous Mendelssohn brought to life by Maestro Jason Tramm, the musicians, and the choir. The Imperial Brass present a brilliant concert in the Great Auditorium with standout soloist performances. We enjoyed this concert by the Imperial Brass very much, as expected, but there were some “knock your socks off” special moments. 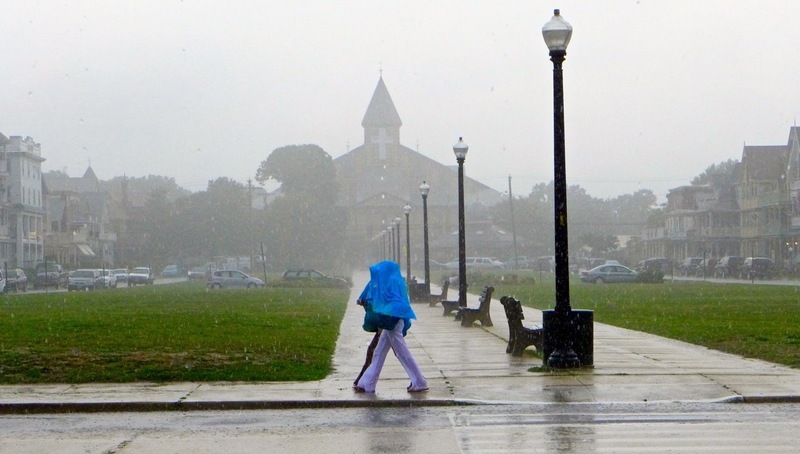 As many of you know, the famous trumpeter Phillip Smith has a summer place in Ocean Grove. His tone and technique are so good that it makes you want to jump up and cheer, which is what happened. Phil Smith played an intricate duet with Mitch Brodsky called “Deliverance.” In the second half he soloed on an amazingly complex piece called Scherzando. Phil told the audience that he has missed playing in the Great Auditorium and how much he loves the salt air and the pleasures of being back in his little cottage on Pilgrim Pathway. Phil retired from his long-term position as principal trumpet with the NY Philharmonic and now he is on the faculty at the University of Georgia. We have been attending musical performances in the GA for years, but my greatest wish, until now ungranted, was to hear authentic live jazz in that terrific venue. Tonight the Imperial Brass granted that wish in what I suspect was the first time a real jazz man played, without amplification, on our stage. Warren Vaché is an acclaimed jazz cornetist from New Jersey who had two beautiful solos with the Brass, but the one that I savored was his rendition of Charlie Chaplin’s “Smile” Vaché delighted the crowd with a vocal chorus as well as a jazz solo. Hopefully we can get some more jazz players at the Grove. If you like jazz, check with the Axelrod Theatre in Deal where they often feature first rate live jazz. Last year they had John Pizzarelli. Also, Shanghai Jazz in Madison is a fine restaurant that features jazz and has done so for years. It is worth the trip. The Imperial Brass is such a fine ensemble, and they vary their content so that you never get bored. The instrumentation is thrilling for you brass fans–a diverse collection of horns— baritones, French, euphoniums, trumpets, and more that I couldn’t identify. But the end result is a magnificent sound where the components come together in a remarkable way. And here are two selections from the Imperial Brass & Friends CD. Atlantic Wind Ensemble, with billowing flags, a delightful concert, and shades of Spain. 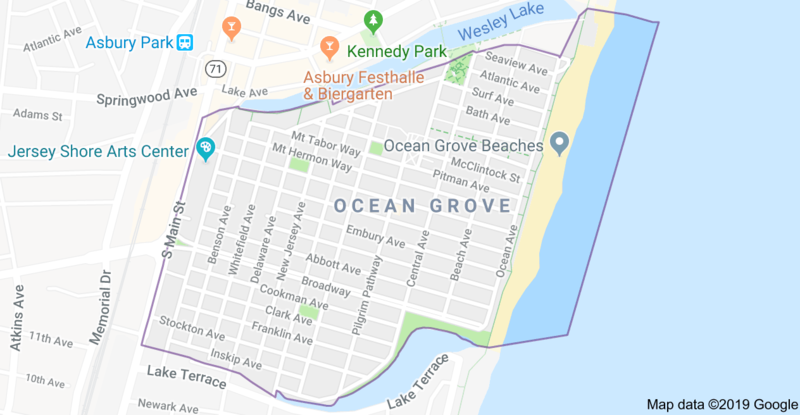 Ocean Grove Memorial Day Weekend. 5/27/17 Paul Goldfinger photo © Click to enlarge. It was cool and breezy during the Atlantic Wind Ensemble concert on Saturday night, May 27, 2017–Memorial Day weekend in Ocean Grove, NJ. The band entertained a large crowd with a fine selection of music including Haydn, South Pacific, Dixieland, James Bond and God Bless America among others. 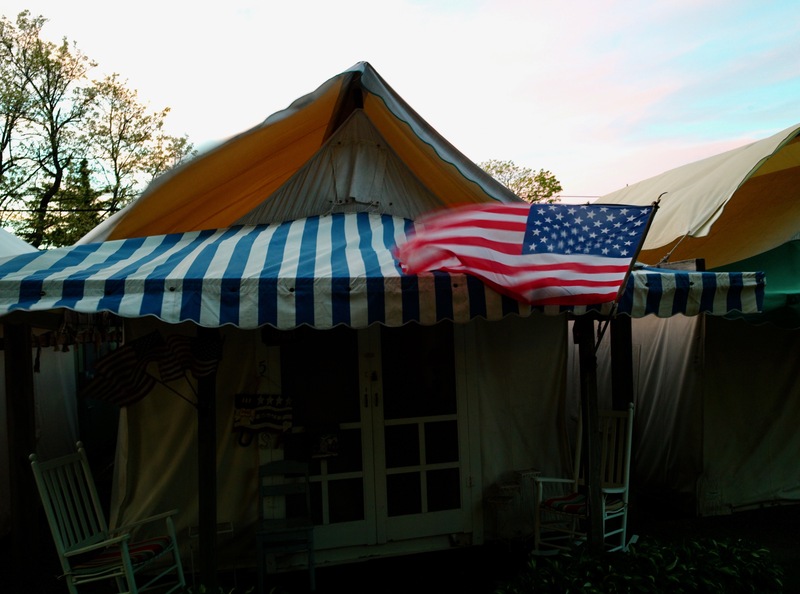 Outside, tent city was largely uninhabited, but one dwelling was displaying an American flag, and in the waning soft light of the early evening, with the doors of the Great Auditorium open, you could see that flag floating in the breeze. Its colors seemed dreamy–not bright like the usual red, white and blue display. In between band selections, I walked across the GA and outside to get this photograph. No one was around except for some ushers, but the flag seemed just right for Memorial Day and all it stands for. Memorial Day concert. Great Auditorium. 5/27/17. Paul Goldfinger photo. © Click to enlarge. The first number on the program after the Star Spangled Banner was a Spanish piece called “Amparito Roca.” Here it is as performed by the University of Illinois Symphonic Band. The announcer said it was famous as a vehicle for dancing the Paso Doble, a dramatic and romantic dance from Spain, which I saw performed many years ago by a professional dance team at the Hotel Nemerson in South Fallsburg, NY. But the Atlantic Wind performance for this piece sounded like march music. So, naturally, I went home and Googled it. And, sure enough, it is both: march and dance music for the Paso Doble.